A New England- based Islamist society's ongoing effort to sue nearly anybody who questions its government- supported mosque building project in Boston's Roxbury district has now ensnared a local radio talk host. As a result, the Islamic Society of Boston's hardball tactics are again attracting attention, from the Boston Herald, radio industry trade publications and a number of regionally- based political blog sites. Check here for considerable coverage from Atlas Shrugs, New England Republican, Overlawyered, Blogofacists, Ultima Thule and Cao's Blog, in addition to And Rightly So! 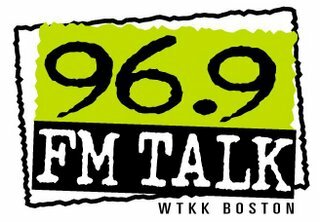 So far, however, the biggest conservative websites have missed the news on the ISB's legal effort to force Boston talker Michael Graham and WTKK- FM to cough up materials related to a recent guest appearance by a Jewish group representative who challenged the project during Graham's show. A lawyer for the Islamic Society of Boston said the subpoena is part of routine evidence gathering for its defamation case against The Boston Herald, WFXT-TV (Fox 25) and advocacy groups that have questioned the mosque, including the David Project, a Jewish group. Some civil liberties lawyers who reviewed the sub- poena, however, ex- pressed concern that it goes too far and could chill free expression. But after reviewing the subpoena, attorney Harvey Silverglate, a Cambridge civil liberties specialist, described it as “extraordinary.” He noted that it also asks for materials used by Graham to support his remarks about the ISB, documents related to David Project lawyer Jeffrey Robbins’ appearance on the show and communications between Graham and other defendants or attorneys involved in the ISB defamation suit. “Courts have to take seriously their obligation, their duty to protect the First Amendment, because civil litigation can be overwhelming and can really easily turn into harassment,” Silverglate said. During the mid-August broadcasts on WTTK-FM (96.9), Robbins and Graham discussed the ISB and a controversial Muslim scholar, Yusuf al-Qaradawi, and other issues. Beyond that, of course, is the question of whether Graham actually retained any notes from the program. Only the most organized host might consider doing so and even then, there may not be any practical reason to save them. 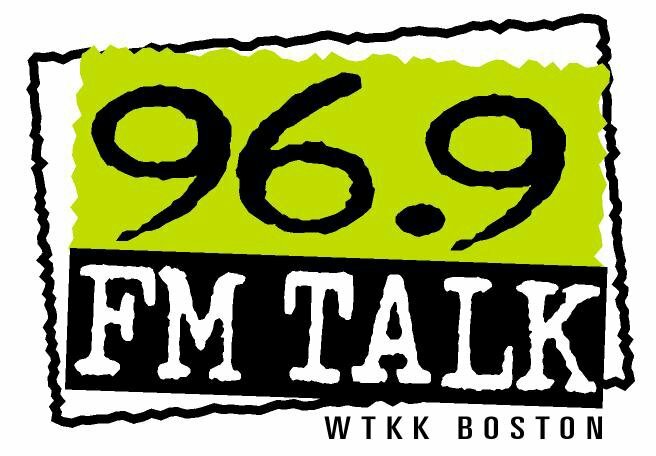 Your Radio Equalizer (who happens to work for Graham's competitor, WRKO- AM) generally files away only a one- page summary of what was discussed during any given show. Since it would take a warehouse to store the mountains of materials that accumulate even after just a few shows, everything else is thrown away. 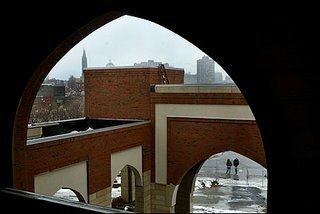 Boston's new Mosque and Cultural Center was meant to be a beacon of tolerance, a symbol of understanding between Muslims and non-Muslims. Instead, the unfinished red-brick shell at Roxbury Crossing has become just the opposite. Conceived before the terrorist attacks of Sept. 11, 2001, and blessed by the city, the mosque has been beset by challenges. A Mission Hill man is suing the city, alleging that the land deal that got the project underway was unfair. Others have accused officials of the Cambridge-based Islamic Society of Boston, which is building the mosque, of sympathizing with Islamic extremists. The accusations have battered the project. Donations have slowed to a trickle and Islamic society officials blame the allegations of extremism, which they have vehemently denied, for deterring benefactors. The funding difficulties have all but halted construction and forced the society to seek bank loans to complete the project, a step they had long hoped to avoid, given Islam's prohibition on charging and paying interest. However, those loans were denied, society officials said. Mosque supporters say the harm done goes beyond bricks and mortar, that the rancor surrounding the project has deepened suspicions between Muslims and non-Muslims. The Roxbury site has become a setting for conflicts that extend far outside the neighborhood, into issues of constitutional rights, Middle East politics, and national security. ''One of the major objectives of this project was to be interaction between Muslims and non-Muslims in recognition that there is a lot of misunderstanding among Americans about Islam, and quite frankly among Muslims about American culture and society," said Salma Kazmi, assistant director of the Islamic Society of Boston. ''This feeds a lot of resentment and mistrust, the sense of people generally being against us. It's not a healthy environment." The original completion date for the mosque was November 2004. The project has faced so many delays since then that mosque officials are reluctant to set a new completion date. With each month of delay, construction costs have risen, swelling the budget for the project from an original estimate of $22 million to around $24.5 million, and putting the new mosque's first day of prayers further from reach. The other big issue, really the elephant in the room, is what the ISB is trying to accomplish by going after nearly every news media outlet in Boston. If it isn't about trying to shut down critics through the court system, then what is the point of the suit? In WTKK's case, being dragged into the case could very well provide the station with a much- needed dose of ratings- generating publicity. After former local afternoon host Jay Severin departed to host a national evening show (which WTKK carries), the station's overall ratings have suffered significantly, with a year- long downward trend and no sign of recovery. Will the station fight, or roll over? So far, that isn't clear, other than an indication that it will insist the ISB give it adequate time to gather up whatever materials it might be able to produce. ELSEWHERE: Ottaway Newspapers, the left- leaning local publication division of Dow Jones, is selling off a number of its papers, including the Santa Cruz Sentinel. Not included are the New Bedford Standard- Times or the hypocritical Kennedy- loving, wind farm- hating Cape Cod Times. A lack of circulation growth was cited as a reason for dumping the Sentinel, which has been owned by Dow Jones since it purchased the paper from California Secretary of State Bruce McPherson and family in 1982. The Islamists defile, threaten and spout biased lies about other religions all day long. But if you have the audacity to question the link between the US taxpayer money and a government-supported mosque in Boston, you are immediately slapped with lawsuits by CAIR (Council on American-Islamic Relations) and other low-life quasi legal entities. Here is another example of outrageous behaviour by the US government as it meekly tries to appease 24 Islamist soldiers in the US Marines at Quantico. Last week, military brass -- along with representatives from the terror-tied CAIR -- dedicated the first Muslim prayer center Mosque for the Marines as a symbol of the military's "religious tolerance" and "respect" for the faith the enemy uses to attack us. * Where is the ACLU? * Where is the outrage against US taxpayer money spent on promoting religion? * Where are the lawyers who preach separation of relion and government? Shame on the United States Marine Corp. for doing such a disservice to our fighting men by building a Mosque on one of it's bases. On base, they're all Marines. There are no Baptists, Catholics, Lutherans, Latter Day Saints, Buddists, Pagans or Muslims. Just Marines. If the Muslim jarheads want a place to worship, let them go off base and spend their own money, not US taxpayer dollars. Take a look at the following excerpts from Paul Sperry's insightful article on the US Goverment's decision to build Mosques on Marine bases. Quantico has only 24 Muslims on base, so the mosque -- the first of its kind in the 230-year history of the Corps -- will also serve to introduce and draw other Marines to the faith. Already, plans are in the works to build by 2009 a bigger mosque at the Marine base in Quantico so Muslim service members can have a "proper place" to worship, and one that "honors their religious heritage," officials say, not realizing that the mosque can also be used by the enemy to build a Fifth Column inside the Marines. The first principle of war is knowing your enemy and what motivates him. The PC-addled Pentagon seems to have forgotten that rule. If tax-exempt status were to be lifted on all religious institutions tomorrow, whose voice would you hear protesting the loudest? The Muslims, the Christians, or the Jews? Hashfanatic - was there a certain subset of "Christians" or "Jews" that you had in mind? The apellation of "Christian" goes all the way from Roman Catholic to (ostensibly) the LDS. However, I don't recall stories of mainline prod or babtist churches suing everyone in sight because they oppose the construction of a new church. Perhaps you can educate us on the relative litigiousness of "The Muslims, the Christians, or the Jews."